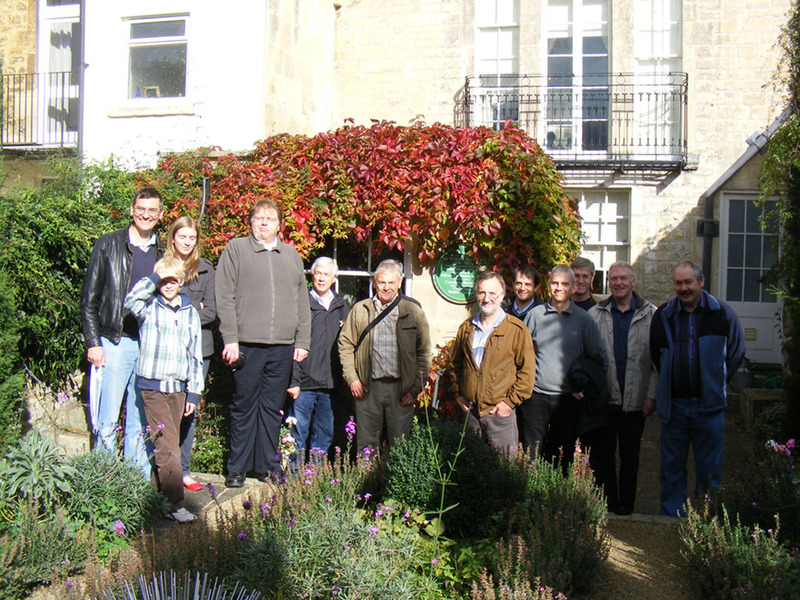 On Saturday 16th October 2010 a group of DDAS members travelled to Bath to visit the Herschel House and Museum. The museum is located at 19 New King Street and occupies the house that Sir William Herschel and his sister Caroline lived in during the late 18th century. It was at this house that William constructed his own telescopes, and using one of these discovered the planet Uranus in 1781. The house is a Grade II listed building and a fine example of a Georgian town house. The museum occupies three floors of the house. The first floor contains a number of astronomical, scientific and musical exhibits, a replica of the type of telescope that William Herschel used in the discovery of Uranus, and even a vidicon tube of the type flown on interplanetary space probes, to bring things right into the modern era! The DDAS Chairman and myself were especially interested in a small chest of specimen drawers from Herschel's time containing an interesting collection of rocks, minerals and fossils. On the ground floor we were able to browse the gift shop and take a look at the original kitchen and workshop where Herschel made his telescopes. To the rear of the house was a small but lovely garden from where Herschel conducted many of his observations. The basement had been converted into a small video room where Sir Patrick Moore narrates a short presentation on the Herschels and the house and states - "William Herschel was the first man to give a reasonably correct picture of the shape of our star-system or galaxy; he was the best telescope-maker of his time, and possibly the greatest observer who ever lived". This picture taken by Cathy Razzell shows DDAS members assembled in the garden of 19 New King Street. The ground floor extension to the left contains the workshop where William Herschel built his telescopes and cast his mirrors. One can imagine William's sister Caroline at the balcony on the first floor taking notes as William made his observations of the heavens.